New Theological Seminary of the West has moved! Date/Time: Saturday, June 3rd, 2017, 10:30am-2pm Location: NTSWest All Community Gathering Pasadena Presbyterian Church 585 E. Colorado Blvd. Pasadena, CA 91101 Click here to get directions (through Google Maps) Information New Theological Seminary of the West invites all students, faculty, potential students, trustees and friends of the seminary to attend The Gathering. 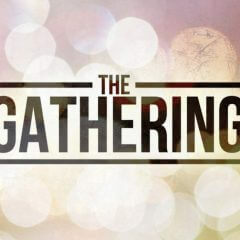 The Gathering is designed to enable the NTSWest seminary community to come together for fellowship; information sharing; lunch and worship. There is no charge for persons attending. For further information please call the seminary office at 626-765-9500 or email us at info@ntswest.org. Q&A with Ronald White on CSPAN Discussing His Book, American Ulysses: A Life of Ulysses S. Grant.